The Cats looked to have a fresh start after a loss to the Huskies, but the Utes of Utah had other things in mind. 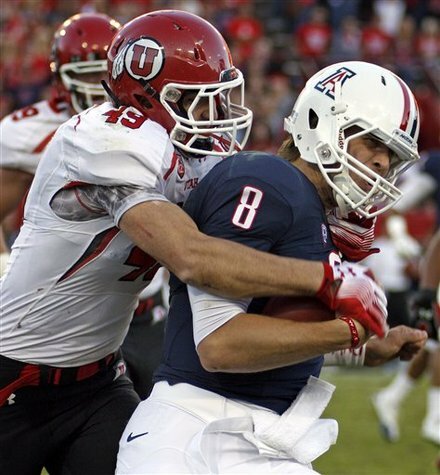 Utah eliminated Arizona from bowl contention with an embarrassing 34-21 romp on homecoming. The Cats got off on the wrong note after they tried a fake FG on their first drive. The Utes would then block two punts, giving them good field positions which resulted in scores. The Cats could never catch up as they fell into a 17-7 halftime deficit and eventually a 13 point loss. Now that the Kraft Fight the Hunger Bowl is out of the picture, the Cats must set their sights on one objective: beating the Sun Devils.